In 1994 and again in 1998, French publishers Atlas issued a lengthy series of weekly magazines, titled AH: La Collection Atlas, with each one dedicated to every entry in Hitch’s available filmography. It even included the Alfred Hitchcock Presents TV series and each issue was accompanied by an authorised VHS cassette of the title in question. Publishers Journaux.fr repackaged and reissued them on DVD in 2002 as La Collection AH en DVD, and re-repackaged and reissued them a final time from 2005 onwards, this time entitled La Collection AH en DVD: 2nd Edition. They’re very well done and though rarely found for sale outside of France, are well worth collecting – si vous parlez français. The Pleasure Garden (issue #47) was the only one since unissued again on regular French DVD. 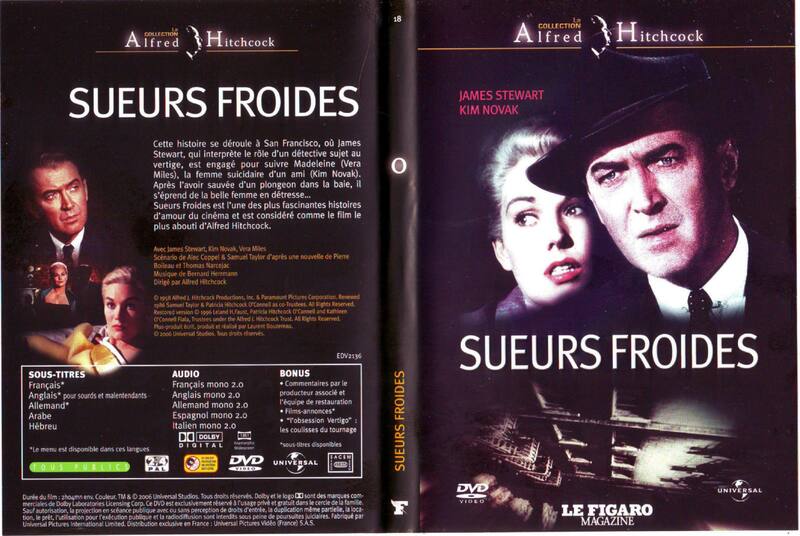 Also in 2007, Le Figaro produced yet another run of 20 Hitchcock-themed magazines – the French really like their Hitchcock! Again each issue was accompanied by a specially packaged DVD. The spines were all numbered and collectively spelled out his name, while the discs were the regular commercial versions, complete with extras. This time, with the exception of Waltzes from Vienna/Downhill, they were all post-1930s films. 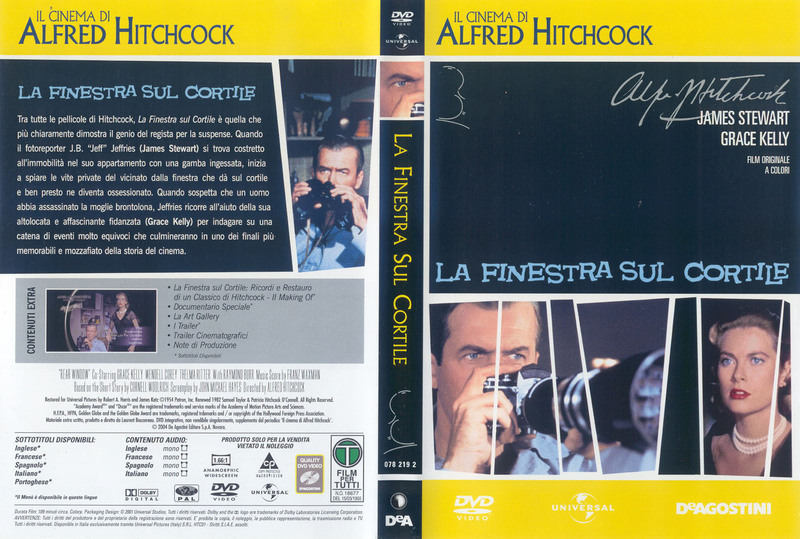 Italian-based publishers De Agostini produced a similar 48-part series of Hitch’s films on VHS from 1993–1995, titled Il cinema di Alfred Hitchcock. Each was accompanied by a roughly A5-sized booklet but all the pre-1940 British films were boots, and with dubbed Italian audio only. The series was reissued on DVD in 2001 and 2005 with the same transfers, but this time senza booklets. De Agostini also distributed a 2006 set of 20 Spanish-language Hitch DVD-magazines of post-1940 films in Mexico. On a related note, Spain has had at least three very attractive Digibook-packaged runs of Hitch’s films, including a 2007 “Gold Edition” series including many British entries. Spanish bootleggers Suevia swiftly followed suit with an identikit “Gold Edition” series of his British films, ripping off the previous editions’ artwork and packaging, but in poorer quality. For a few years just prior to 2010, several UK newspapers – The Times, Guardian and Telegraph – issued DVD freebies of various Hitch films of the 1930s and 1940s. However, only the former used restored, licensed transfers. Yup: The Guardian, and Telegraph , those crusading pillars of the establishment, actually gave away bootlegs, contributing to an ever-growing pile. Though it was more likely through ignorance than malice. Theirs had the usual terrible transfers, whereas The Times’ licensed discs look great and actually improve on some of the regular releases, in that they all have English subtitles. With the few exceptions noted below, all came in basic square card wallet sleeves. They’re cheap and plentiful on UK eBay but tread carefully: ensure you only get those with The Times logo displayed prominently. All the above Hitch titles and more have also been issued with newspapers in various other European countries, most notably Greece. They turn up regularly on eBay but predictably they’re all bootlegs. These days, Hitch is easily the most enduringly popular classic filmmaker and his works are available in a multitude of official DVD collections everywhere. But in France and Benelux, Universal have issued several humongous box sets much more comprehensive in scope than most. They’re particularly notable for including many of his British films alongside the later American ones, whereas most such sets just have the latter. If you’re planning to build a complete Hitchcock DVD collection from scratch, they’re easily the best place to start: you can pick up half his entire output in one fell swoop. As with most Hitch discs issued in Europe, all sets are English-friendly and have copious extras. They’re also region 2, PAL format, and feature a host of sub and dub options. In the French sets, Hitch’s British years are represented by four 2on1 DVDs: Waltz/Downhill, Waltz/Juno, Man/Juno and Jamaica/Mary (2006–7 and 2013). Two or three are included in each set and the remainder consist of his American films. The Benelux set has a different selection of eight British films on four 2on1 DVDs: Champagne/The Ring, The Manxman/The Farmer’s Wife, Blackmail/Murder and Skin Game/Rich and Strange. Though they’re not available individually, the four discs were initially issued with a fifth, Foreign Correspondent (1940), in AH Collection (2007).